I know it is hard to fathom ever being cold again, with summer being what it is and all, but winter is coming, and you will be cold again. Promise. 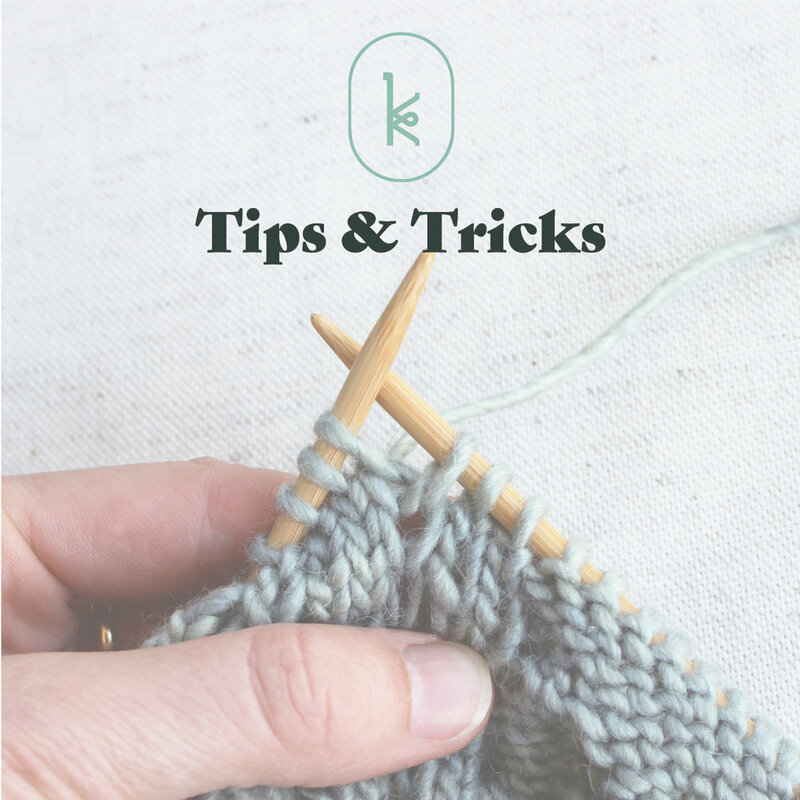 So cold, you might even need to wear mittens lest your little fingers freeze, and what better way to prepare for winter than to knit yourself a pair of lovely, thick colorwork mittens like Melanie did? Knit with Andorra in sunshine yellow and snow white using the Shine Mittens pattern by Swedish designer Pia Kammeborn, these mittens have it all - latvian braids, a lovely cuff pattern, all over colorwork hands, and a gusseted thumb. I first saw Melanie's mittens on her Instagram when she showed this excellent image of the pair pre- and post-blocking. As you can see, the mitten on the left looks fine, but definitely needs a little bit of straightening out, especially where the braids are concerned. After blocking, the mitten is perfectly straight and any slight wonkiness in the stitches has been fixed by the act of blocking. 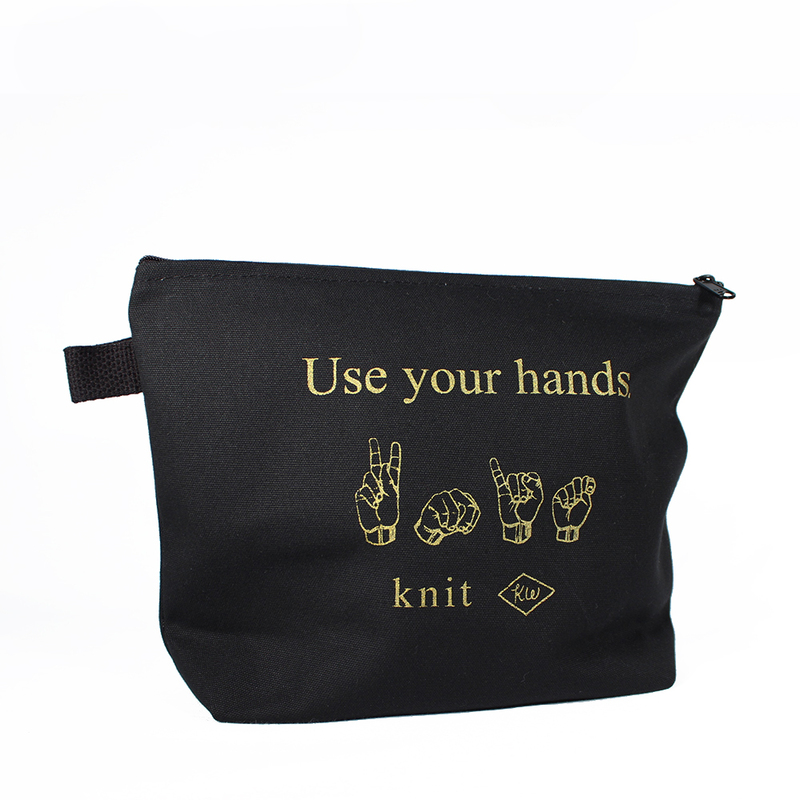 Mittens are a great project for vacation or summer knitting; they travel well, aren't too bulky or heavy in your lap, are small enough to finish easily, and many designs have a lot of unique details to keep you interested. In fact, Owen and I are finally going on our honeymoon next week...nine years after the fact...and I'm now determined to throw a pair of mittens in my project bag for the trip! Although only officially released about two weeks ago, The Fibre Co. Arranmore Light has thus far proven to be a big hit! 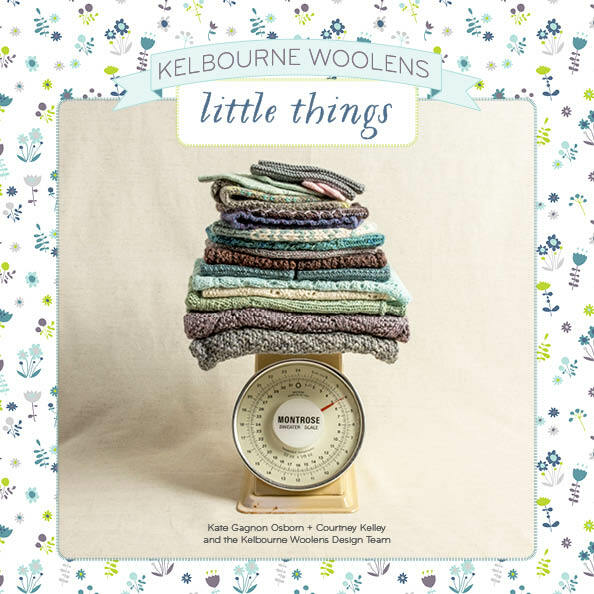 When a new yarn is released, we encourage shops to make samples to highlight the yarns and give customers an idea of what the yarn feels like knit up or how a particular design will look. A bunch of have been gracious enough to send us images of their finished samples, and we wanted to share a few with you. Wildfibers knit up not one, but three samples in Arranmore Light: Bibbe, Candy Darling, and Baby Jane. They mixed and matched Glenveagh Castle, St. Claire, and Corcoran. 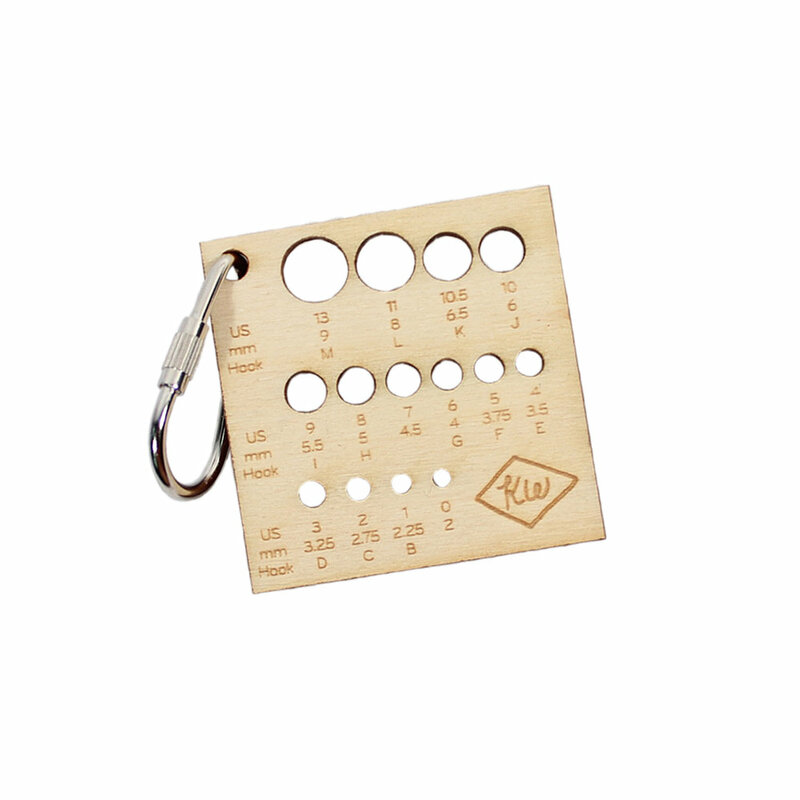 Bibbe was a big hit at TNNA, and many other shops were also excited to work up samples for display. Loop knit one up in Glenveagh Castle (left), and Yarn Cupboard made theirs in Brannagh. Esther from Yarn it and Haberdashery showed me the Ninilchik Swoncho pattern by Caitlin Hunter at TNNA and I was immediately in love. We planned colors in the booth, and she quickly worked up a sample in St. Claire, Slieve Sunset, Finian and Odhran. If you have a finished sample and would like to be featured on the blog, shoot us an email! We can't wait to see them! There are so many lovely finished objects in Ravelry made with The Fibre Co. Luma. Here are a few of the most recent of the bunch. Thank you for sharing your projects and love of Luma! 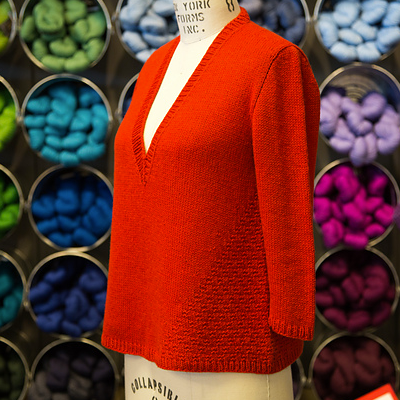 • Fibre Co. team member Acollinsdesigns wears her Donner sweater in willow. • Bonniedean's vibrant and elegant Chaset in zinnia. 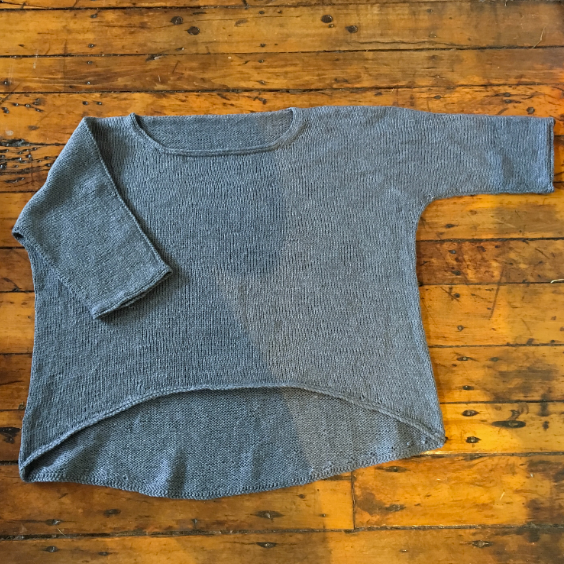 • NatalkaD's thinks this photo of her Unlined Outlined sweater in grigio 'doesn't give it justice' but I still love it! • Arowisarow shares her Bennet Creek in sangria. • Lettyb recently finished her crocheted Hotel of Bees shawl using blanca, goldenmosa, and flax. 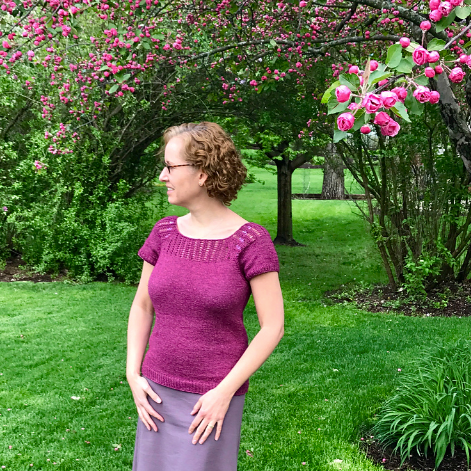 • Julie-Lynn matches her Gemini, knit in sangria, with the gorgeous blossoms of a tree behind her. I have no clue what it is! It's so gorgeous and can't say I've ever seen one here in Philadelphia. Does anyone know what it is? It's always a joy to take a ride through Ravelry so keep the FO's coming! Have a great weekend everyone.